I-9: This form is used to verify the identity and employment authorization of individuals hired for employment in the United States. All U.S. employers must ensure proper completion of Form I-9 for each individual they hire for employment in the United States. I-90: This form is used to replace a "Green Card." I-129: This form is used for petitioners filing on behalf of an alien to come to the United States temporarily to perform services or labor, or to receive training, as an H-1B, H-1C, H-2A, H-2B, H-3, L-1, O-1, O-2, P-1, P-1S, P-2, P-2S, P-3, P-3S, Q-1 or R-1 nonimmigrant worker. I-129CW: This form is used by an employer to petition U.S. Citizenship and Immigration Services (USCIS) for an alien who is ineligible for another employment-based nonimmigrant classification to work as a nonimmigrant in the Commonwealth of the Northern Mariana Islands (CNMI) temporarily as a CW-1, CNMI-Only Transitional Worker. I-129F: This petition is used to bring your fiancé(e) (K-1) and that person's children to the U.S. for marriage to you or to bring your spouse and that person's children (K-3 and K-4 visas, respectively) to the United States to complete processing for permanent resident status (under the LIFE Act and Amendments of 2000). I-129S: This form is used to classify alien employees as L-1 nonimmigrant intracompany transferees (executives, managers, or specialized knowledge professionals) under a previously approved blanket L petition. I-130: This form is used for citizen or lawful permanent resident of the United States to establish the relationship to certain alien relatives who wish to immigrate to the United States. I-131: This form is used to apply for a reentry permit, refugee travel document or advance parole travel document, to include parole into the U.S. for humanitarian reasons. I-134: This form is used to show that visa applicants have sponsorship and will not become public charges while in the United States. The sponsor must file a separate affidavit for each applicant. I-140: This form is used to petition for an alien worker to become a permanent resident in the United States. I-191: This form is for a legal permanent resident of the United States to apply for permission to return to their home in the United States after time spent outside the United States. I-192: This form allows inadmissible nonimmigrant aliens to apply for advance permission to temporarily enter the United States. I-193: This form is used for an alien who is a legal resident of the United States to reenter the United States without the alien's passport and/or visa. I-212: This form is used by an alien who is inadmissible under section 212(a)(9)(A) or (C) of the Immigration and Nationality Act (INA) files Form I-212 to obtain "consent to reapply for admission" that is required before the alien can lawfully return to the United States. "Consent to reapply" is also called "permission to reapply." I-243: This form is used by an alien in the United States who is in distress or in need of public aid from causes arising after the alien's entry into the United States to request removal from the United States at the government's expense. I-290B: This form is used to notify USCIS that you are filing a motion to reopen or reconsider a USCIS decision or you are appealing an adverse decision regarding your case. I-360: This petition is used to classify an alien as: 1. An Amerasian; 2. A Widow or Widower; 3. A Battered or Abused Spouse or Child of a U.S. Citizen or Lawful Permanent Resident; or 4. A special immigrant. A special immigrant is defined as one of the following: A. Religious Worker; B. Panama Canal Company Employee, Canal Zone Government Employee, U.S. Government in the Canal Zone Employee; C. Physician; D. International Organization Employee or Family Member; E. Juvenile Court Dependent; F. Armed Forces Member; G. Afghanistan or Iraq national who supported the U.S. Armed Forces as a translator; H. Iraq national who worked for or on behalf of the U.S. Government in Iraq or I. an Afghan national who worked for or on behalf of the U.S. Government in Afghanistan. I-361: This form is to be filed in support of Form I-360, Petition to Classify Public Law 97-359 Amerasian as the Child, Son, or Daughter of a United States Citizen. The form is filed as your agreement to provide financial support for a five year period for an Amerasian or to petition a court for legal custody of an Amerasian under 18 years of age. I-363: This form is used If, after admission to the United States, the beneficiary of a petition for a P.L. 97-359 Amerasian requires enforcement of the guarantee of financial support and intent to petition for legal custody, which was executed by the beneficiary's sponsor, the beneficiary may file this form with USCIS. I-485: This form is used to apply to adjust your status to that of a permanent resident of the United States. I-485 Supplement A: This form is used to provide supplemental information to USCIS on persons seeking to adjust status under the provisions of section 245(i) of the Immigration and Nationality Act. I-485 Supplement B: This form provides additional instructions to the form I-485 as it relates to certain nationals of Nicaragua and Cuba. I-485 Supplement C: This form is the additional instructions for Haitian nationals seeking lawful permanent resident status under HRIFA. I-485 Supplement E: This form provides additional instructions for filing of adjustment of status (Form I-485) based on: (1) T Nonimmigrant Visa - Victim of a severe form of trafficking in persons; or (2) U Nonimmigrant Visa - Victim of certain qualifying criminal activities. I-508: This form is used by lawful permanent residents, or nonimmigrants in A, G or E status who are seeking to apply for adjustment of status as permanent residents, and who are all working for a foreign government mission in the United States. The form primarily advises these immigrants and nonimmigrants (except French nationals who are covered by a special Convention between France and the United States) that they must waive certain diplomatic rights, privileges and immunities and pay U.S. income taxes on the salaries paid them by their foreign governments. Permanent residents in such situations who do not pay their taxes may be adjusted to A, G or E status; nonimmigrants in A, G or E status may be unable to adjust status as permanent residents. I-508F: This form is used to comply with Section 247(b) of the Immigration and Nationality Act (INA), and the Convention between the United States of America and the French Republic with respect to taxes on income and property. Form I-508F is used by French nationals receiving a salary from the Republic of France. A French national intending to file this form must also complete Form I-508 and submit both forms together to the same U.S. Citizenship and Immigration Services (USCIS) office where he or she is submitting the related Form I-485 or Form I-131. I-526: This form is used by an entrepreneur who wishes to immigrate to the United States. I-539: This form is used by certain nonimmigrants to extend their stay or change to another nonimmigrant status. I-539, Supplement A: This form is used as instructions by persons seeking V nonimmigrant status while in the United States or an extension of V nonimmigrant status. The information required by these instructions must be submitted with Form I-539, Application to Extend/Change Nonimmigrant Status. I-589: This form is used to apply for asylum in the United States and for withholding of removal (formerly called "withholding of deportation"). You may file for asylum if you are physically in the United States and you are not a United States citizen. I-600: This form is used to classify an orphan, habitually resident in a non-Hague Convention country, who is or will be adopted by a U.S. citizen as an immediate relative of the U.S citizen to allow the child to enter the United States. The petition is filed by the U.S. citizen who is adopting the child. I-601: This form is used if you are inadmissible to the United States and are seeking an immigrant visa, adjustment of status, certain nonimmigrant statuses or certain other immigration benefits, you must file this form to seek a waiver of certain grounds of inadmissibility. Please refer to the instructions to determine whether you should use this form. I-601A: This form is used for certain immediate relatives of U.S. Citizens may use this form to request a provisional unlawful presence waiver under Immigration and Nationality Act Section 212 (a)(9)(B) and 8 CFR 212.7(e), before departing the United States to appear at a U.S. Embassy or consulate for an immigrant visa interview. I-602: This forms is used for a refugee who has been found inadmissable to the United States for reasons such as felony conviction or health conditions to apply for a waiver of such inadmissibility on grounds of humanitarian reasons, family unity or national interest. I-612: This form is for certain exchange visitors (J-1 and J-2 visas) and their families to apply for a waiver of the requirement that they reside outside the United States for at least two years prior to returning or leaving the United States. I-643: This form is used to provide statistical data to the Department of Health and Human Services regarding refugees or asylees who wish to adjust to immigrant status in the United States. I-687: This form is for use during the Immigration and Nationality Act (INA) Section 245A legalization program of the 1986 Immigration Reform and Control Act, which ended in 1988. The form is now used to apply to USCIS for benefits under the terms and conditions of certain settlement agreements. I-690: This form is used to apply for a waiver of inadmissibility by an applicant for adjustment of status under section 245A or 210 of the Immigration and Nationality Act. I-693: This form is used generally, all applicants filing for adjustment of status to that of a lawful permanent resident must submit Form I-693 completed by a designated civil surgeon. Form I-693 is used to report results of a medical examination to USCIS. The examination is required to establish that an applicant is not inadmissible to the United States on public health grounds. I-694: This form is used to notify U.S. 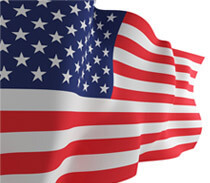 Citizenship and Immigration Services that an alien denied permanent residence, temporary residence or a waiver of grounds of excludability under the amnesty program provisions of the Immigration Reform and Control Act of 1986 (IRCA) is appealing the decision to the Director of USCIS. I-698: This form is used to apply for adjustment to permanent resident status under the amnesty program provisions of the Immigration Reform and Control Act of 1986 (IRCA). I-730: This form is used if you have been admitted to the United States as a refugee or if you were granted status in the United States as an asylee within the previous two years, you may request follow-to-join benefits for your spouse and/or unmarried children under 21 years of age. I-751: This form is used for a conditional resident who obtained status through marriage to apply to remove the conditions on his or her residence. I-765: This form is used for certain aliens who are temporarily in the United States may file this form to request an Employment Authorization Document (EAD). Other aliens who are authorized to work in the United States without restrictions must also use this form to apply for a document that shows such authorization. I-777: This the forms and instructions for replacing a Northern Mariana Card that has been lost, stolen or damaged. I-800: This form is used to determine the child's eligibility for classification as a Convention adoptee. The petition is filed by the U.S. Citizen prospective adoptive parent to finalize the immigration process of a child who habitually resides in a Convention country. The petitioner must have an approved, valid Form I-800A, Application for Determination of Suitability to Adopt a Child from a Convention Country, in order to file the Form I-800. I-800A: This form is for adjudicating the eligibility and suitability of the applicant(s) to adopt a child who habitually resides in a Hague Adoption Convention country. I-817: This form is used for requesting initial benefits under the Family Unity Program, or to request an extension of such benefits. I-821: This form is to apply for a temporary immigration status granted to eligible nationals of designated countries. I-824: This form is used to request a duplicate approval notice, to request an approval notice be sent to another U.S. Consulate, or to request an approval notice be sent to a U.S. Consulate for derivative visas for family members. I-829: This form is used for a conditional permanent resident who obtained such status through entrepreneurship to remove the conditions on his or her residence. I-854: This form is used by law enforcement agencies (LEAs) to bring alien witnesses and informants to the United States in an "S" non-immigrant classification. I-864: This form is used to show that the applying immigrant has enough financial support to live without concern of becoming reliant on U.S. government welfare. I-864A: This is a contract intended to benefit the sponsored immigrant(s) and any agency of the Federal Government, any agency of a State or local government, or any private entity to which the sponsor has an obligation under the affidavit of support to reimburse for benefits granted to the sponsored immigrant. This contract may be enforced in any court with appropriate jurisdiction. By signing this form, a household member who is not a sponsored immigrant, agrees to make his or her income and/or assets available to the sponsor to help support the immigrant for whom the sponsor has filed an affidavit of support. I-864EZ: This form is to show that the applying immigrant has enough financial support to live without concern of becoming reliant on U.S. government welfare. I-864P: This form is used to determine the minimum income requirement needed to complete Form I-864, Affidavit of Support under Section 213A of the Immigration and Nationality Act. I-864W: This form is to establish that applicant is exempt from the Form I-864 requirements. I-881: This form is for any alien eligible to apply for suspension of deportation or special rule cancellation of removal under the Nicaraguan Adjustment and Central American Relief Act (NACARA). I-907: This form is for employers to request faster processing of certain employment-based petitions and applications. I-912: This form is to request a fee waiver for certain immigration benefits and services based on an inability to pay. I-912P: This form is used as HHS Poverty Guidelines to complete Form I-912, Fee Waiver Request. I-914: This form is to provide temporary immigration benefits to aliens who are victims of severe forms of trafficking in persons, and to their immediate family members, as appropriate. I-918: This form is to provide temporary immigration benefits to aliens who are victims of qualifying criminal activity, and to their qualifying family members, as appropriate. I-924: This form is used to: 1. Apply to the U.S. Citizenship and Immigration Services (USCIS) to request designation of an entity to be a Regional Center under the Immigrant Investor Pilot Program. 2. Request approval of an amendment to a previously designated Regional Center. An amended regional center designation request may include requests for determinations relating to any or all of the reasons for filing an amendment request noted below. A. An amendment request may be filed to seek approval of changes to the Regional Centers: 1. Geographic area; 2. Organizational structure or administration; 3. Affiliated commercial enterprise investment opportunities, to include changes in the economic analysis and underlying business plan used to estimate job creation for previously approved investment opportunities and industrial clusters; 4. Affiliated commercial enterprise's organizational structure and/or capital investment instruments or offering memoranda. B. An amendment may also be filed to seek a preliminary determination of EB-5 compliance for documentation provided as an exemplar Form I-526, Immigrant Petition by Alien Entrepreneur, prior to the filing of Form I-526 petitions by individual alien entrepreneurs. I-924A: This form is used to demonstrate a Regional Center's continued eligibility for the Regional Center designation. Each designated Regional Center entity must file a Form I-924A for each fiscal year (October 1 through September 30) within 90 days after the end of the fiscal year (on or before December 29) of the calendar year in which the fiscal year ended. ICE: An abbreviation for the U.S. Immigration and Customs Enforcement, a part of the Department of Homeland Security. INS: An abbreviation of the name for the Immigration and Naturalization Service offices. The INS was abolished and its functions placed under three agencies - U.S. Citizenship and Immigration Services (USCIS), ICE and CBP - within the newly created DHS. Immediate Relatives: Certain immigrants who because of their close relationship to U.S. citizens are exempt from the numerical limitations imposed on immigration to the United States. Immediate relatives are: spouses of citizens, children (under 21 years of age and unmarried) of citizens, and parents of citizens 21 years of age or older. Immigration Act of 1990: Public Law 101-649 (Act of November 29, 1990), which increased the limits on legal immigration to the United States, revised all grounds for exclusion and deportation, authorized temporary protected status to aliens of designated countries, revised and established new nonimmigrant admission categories, revised and extended the Visa Waiver Pilot Program, and revised naturalization authority and requirements. Immigration Judge: An attorney appointed by the Attorney General to act as an administrative judge within the Executive Office for Immigration Review. They are qualified to conduct specified classes of proceedings, including removal proceedings. Immigration Marriage Fraud Amendments of 1986: Public Law 99-639 (Act of 11/10/86), which was passed in order to deter immigration-related marriage fraud. Its major provision stipulates that aliens deriving their immigrant status based on a marriage of less than two years are conditional immigrants. To remove their conditional status the immigrants must apply at an U.S. Citizenship and Immigration Services office during the 90-day period before their second-year anniversary of receiving conditional status. If the aliens cannot show that the marriage through which the status was obtained was and is a valid one, their conditional immigrant status may be terminated and they may become deportable. Immigration Reform and Control Act of 1986 (IRCA): Public Law 99-603 (Act of 11/6/86), which was passed in order to control and deter illegal immigration to the United States. Its major provisions stipulate legalization of undocumented aliens who had been continuously unlawfully present since 1982, legalization of certain agricultural workers, sanctions for employers who knowingly hire undocumented workers, and increased enforcement at U.S. borders. Immigration and Nationality Act: The Act (INA), which, along with other immigration laws, treaties, and conventions of the United States, relates to the immigration, temporary admission, naturalization, and removal of aliens. Inadmissible: An alien seeking admission at a port of entry who does not meet the criteria in the INA for admission. The alien may be placed in removal proceedings or, under certain circumstances, allowed to withdraw his or her application for admission. International Representative: As a nonimmigrant class of admission, an alien coming temporarily to the United States as a principal or other accredited representative of a foreign government (whether officially recognized or not recognized by the United States) to an international organization, an international organization officer or employee, and all above aliens' spouses and unmarried minor (or dependent) children. Intracompany Trainee: An alien, employed for at least one continuous year out of the last three by an international firm or corporation, who seeks to enter the United States temporarily in order to continue to work for the same employer, or a subsidiary or affiliate, in a capacity that is primarily managerial, executive, or involves specialized knowledge, and the alien's spouse and minor unmarried children.